Today’s post is all about an L’Occitane set that I got as a present from an aunt. The set is from the angelica collection and is called Summer Beauty Essentials, this kit retails at £30 and you get some real gems in the kit. 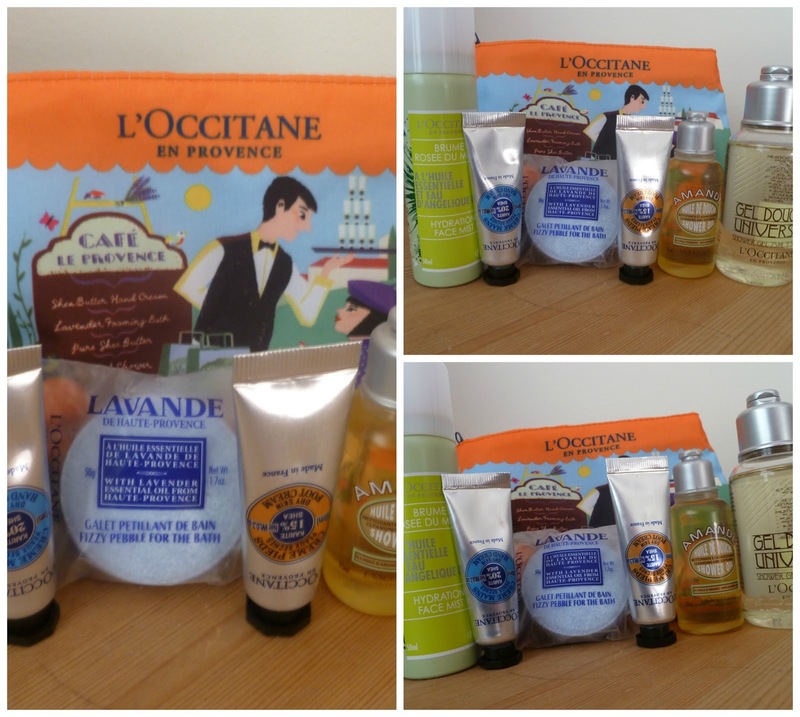 The one thing I always love about L’Occitane products is that they smell amazing, it is one shop that I truly love to go into and which you come out smelling fantastic. You get five products in the pack which all comes in a cute little travel bag, on my way home from holiday I used It keep some jewellery safe. The bag was perfect for my holiday as I went to the south of France and on the front it is depicting a scene from a French Provencal Café. The product which I am most excited about to have is the Hand Cream as I think it is just amazing. This product Promises to ‘protect, nourish and soften your hands’. And I say that I agree with this statement. My sister and I buy a lavender version of it for our mum every birthday. It smells so good and really hydrates your hands, in the pack you get a 10ml tube and is enriched with 20% Shea Butter. If you haven’t tried this yet you must! 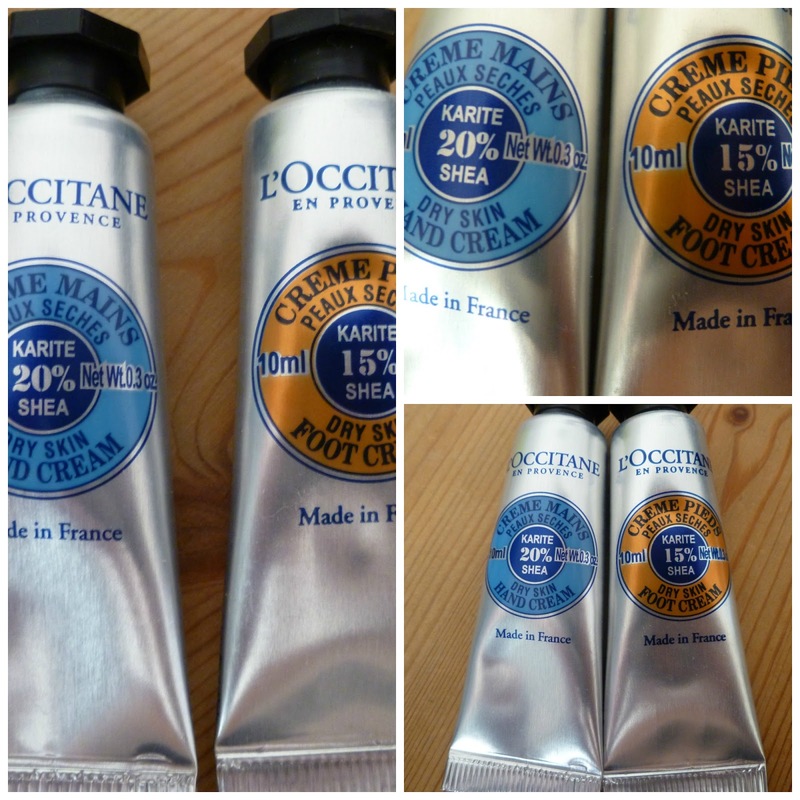 Next is a product that I am eager to try and it is the L’Occitane food cream, after trying the hand cream I have high hopes for this. This also comes in a 10 ml tube and claims to ‘Moisturize and relieve irritated and tired feet’ let me tell you I hope that it delivers what is says on the tin. This product contains 15% Shea Butter and other soothing ingredients. You also get two body washes, although one is a shower oil and the other is a shower gel. The Shower Gel that you get is the Gel Douche Universel, which you get a 75ml bottle of. 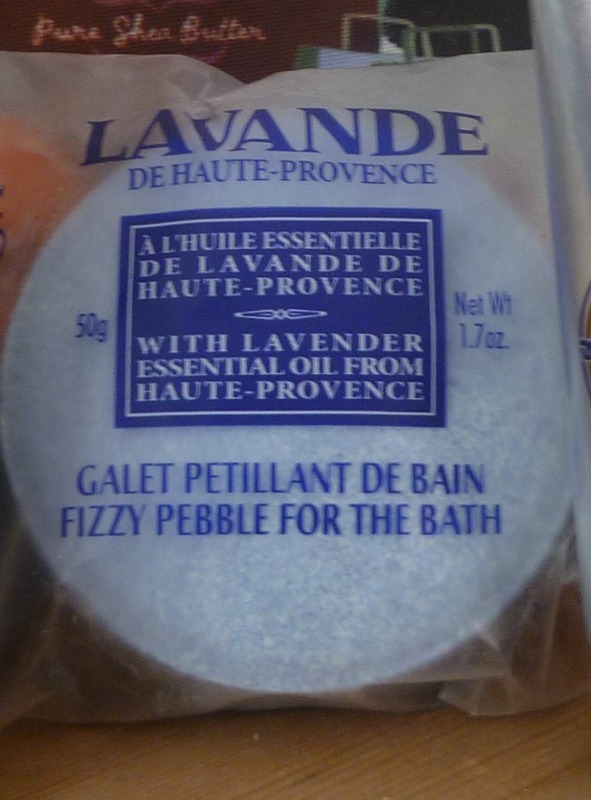 I have tried this and it resulted in beautiful smelling skin, while in the bottle is in a gel but once contact with water has been made it turns into a foam. I have not tried the Amande (Almond to you and me) Shower Oil yet (which you get in a 35ml bottle) and while I will I am slightly dubious as it markets itself as oil and I already have very oily skin. Alas it does promise to turn into foam so I will try it. The next product I was incredibly grateful to have while away and was a 50ml bottle of the hydration face mist, this came in an aerosol can therefore keeping the liquid inside very cold which I was grateful for. I found that while keeping me cool it also moisturised my face. Another plus is that it has a wonderful floral scent which comes from the Organic Anegelica Water and Essential Oil contained inside. 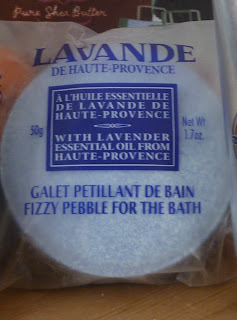 Finally you also get a Lavender Fizzy Pebble for the bath which will be amazing when I want to have a relaxing bath as I don’t know about you but I find that lavender always relaxes me. I Hoped you liked seeing what I got have you tried any of these if so what did you think? Ohhh I love this! And I'm so surprised that it retails at only £30! That place is usually so expensive! I'm going to go and get this! And I love that all of their products contain NO Lanolin! So I'm not allergic! I know doesn't it just smell amazing!